The northern sky is home to some remarkable stars and constellations. The Big and Little Dippers can be seen almost anywhere in the northern hemisphere each night. 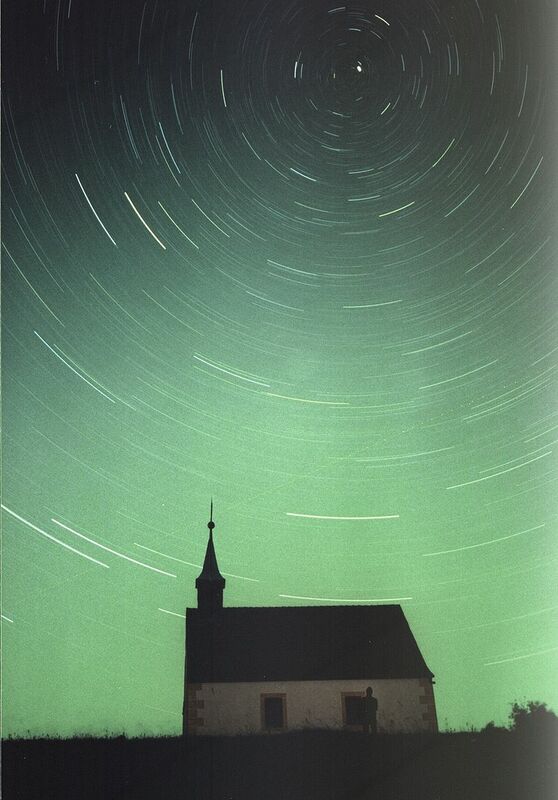 Polaris, the North Star, lies right above the Arctic pole with all the night sky revolving around it. A lack of light pollution means everything shines with an incredible brilliance up there. But these stars are more than just beautiful, they have been used for navigation and the subjects of many myths over the years. Let’s dive into the traditions behind these stars, how important they’ve been throughout history and how you can star gaze in the Arctic. 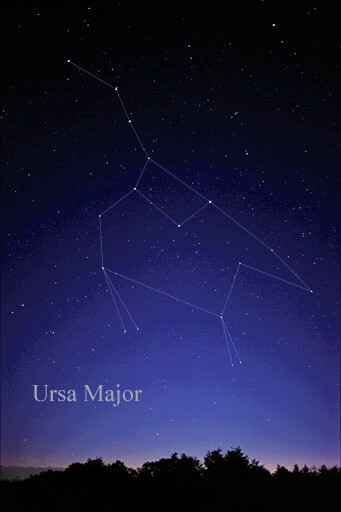 Ursa Major is a northern constellation that’s name means “greater she-bear”. It is the third largest constellation, taking up 3.10% of the night sky. It can be seen every night, almost anywhere in the northern hemisphere. 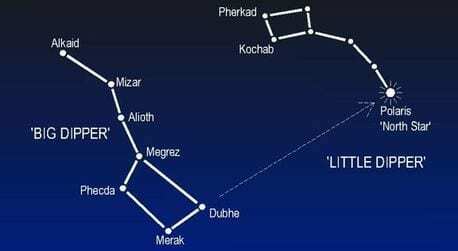 Most commonly known for its main seven stars that form the Big Dipper, Ursa Major is also known as The Plough in the United Kingdom. The Big Dipper forms the tail and hindquarters of the Great Bear. If you visually continue past the two last stars of the Big Dipper you will find the North Star. 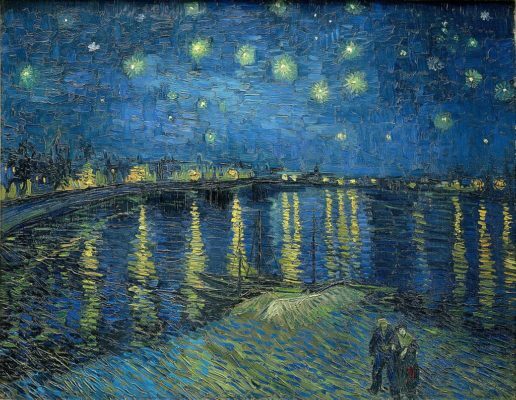 It’s been the subject of poets like Homer, Shakespeare and Tennyson and featured in one of Van Gogh’s paintings. But the rich tradition of this constellation has been evolving over the centuries. The Iroquois people developed the myth that the three stars that make up the handle of the Big Dipper were three hunters pursuing the Great Bear. To the Mi’kmaw nation in northern Canada, Ursa Major is also believed to be a Celestial Bear being hunted. In autumn when the constellation is lower in the sky, the hunters finally catch up to the Celestial Bear and the blood from the hunt is what colours the autumn leaves. To the ancient Greeks and then adapted by the Romans, they believed that the constellation was a nymph and her son turned into celestial bears in punishment. The myth goes that the great god Zeus lusted after the nymph Callisto. Hera, the wife of the great god, became jealous and turned Callisto into a bear knowing that her son was out hunting that day. The son came upon his mother in bear-form and almost shoots her. Zeus then tries to help Callisto by turning her son into a smaller bear to keep her company in the night sky, forming Ursa Major and Ursa Minor. Ursa Minor is also known by its asterism stars that form the Little Dipper. This constellation has been important because it is home to the North Star. The North Star has helped lead the way for skilled navigators throughout the ages. There’s a story that when the expert seafaring Phoenicians met the Greek astronomer Thales around 600 B.C., they showed him how the Little Dipper was better for navigating the seas because of this miraculous North Star. The Greeks had been using the Big Dipper as their northern marker, which wasn’t as precise as the North Star itself. Why is it more useful to navigate by the North Star rather than a constellation? It’s because the constellations shift in the sky as the Earth rotates. Every day, the constellations make a full circle around the North Star, which doesn’t move. A mere 323 light-years from Earth, the North Star, also known as Polaris, is about six times the mass of the sun. Polaris is not the brightest star as its often believed to be, but it is the 50th brightest star in the sky. This is still significant in a sky with millions of stars. The North Star is a circumpolar star. This means that it never sets below the horizon and can be seen every day of the year, for the entire night. As you travel north, the star rises higher in the sky but when travelling south it will drop closer to the horizon. South of the equator the star can no longer be seen. As a “Pole Star” the North Star stay in one position while all the other stars swing around it. In fact, this rotation of stars circling the Polaris is where the origins of “Arctic Circle” is believed to come from. Polaris hasn’t always been the North Star and won’t be forever. As the universe expands stars and constellations drift further apart. For example, while the Egyptians were building the Great Pyramids, the star Thuban, from the constellation of Draco the Dragon, was considered the North Star. This star has acted as the one constant thing in an ever-changing night sky. It has been used by countless explorers for crossing enormous oceans or vast deserts. These constellations are more than beautiful celestial lights in the sky, they are storybooks and valuable instruments for the adventurous. Want to Mingle with the Stars? There really is no better place to star gaze at these remarkable constellations than the Arctic. If you’re hoping to do some star gazing while on an Arctic safari it’s best to come in the early spring or autumn when the sun sets at night. Imagine photographing polar bears by day and star gazing up at a pristine night sky before a restful sleep. 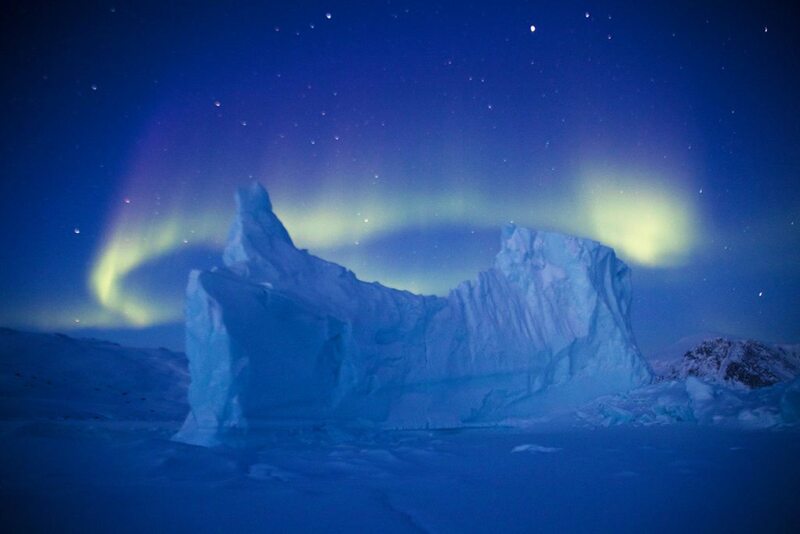 With trips like Polar Bear Migration Fly-In Safari and Spring Polar Bears & Icebergs of Baffin, you can have incredible opportunities to star gaze as they watch the Northern Lights dance and shine around them. Contact our Arctic Travel Advisors for more information or to book your Arctic Safari.